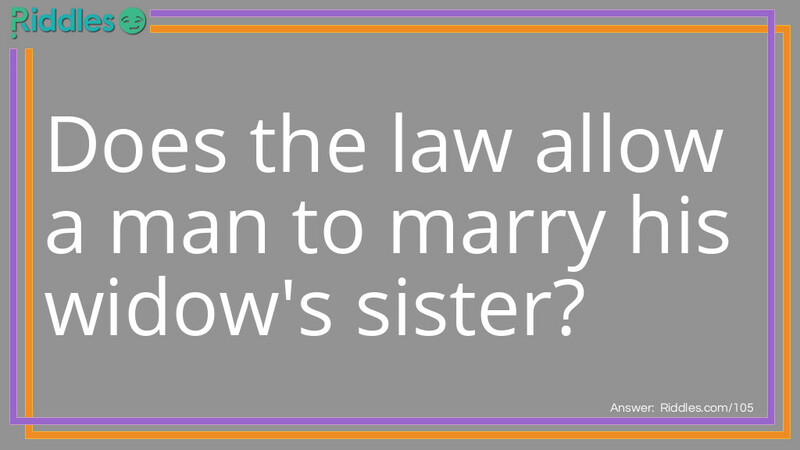 Does the law allow a man to marry his widow's sister? Of course not. If he has a widow then he's dead. And dead people can't get married. Widow's Sister Riddle Meme with riddle and answer page link.